This year I applied, through the government lottery system, for seven separate hunting tags. I applied for, in order of importance for the ranch freezer, the following tags: bull elk, cow elk, deer, antlerless deer, bighorn sheep, Rocky Mountain goat, and antelope. A hunter is allowed only one bighorn tag in his lifetime, so there was virtually no chance of being drawn for that, but for statistical purposes I still count it. For each of these tags, one is entitled to apply for three different hunting zones. That is essentially 21 chances to draw a tag in a large state with less than four million inhabitants–many of whom believe passionately that hunters, and hunting, should be eliminated altogether so that Bambi and Bullwinkle might one day rule the earth. One would think the odds were in my favor for drawing at least one tag, but that would be pure fantasy. My hunting partner, a lifelong Oregon resident who has been hunting Oregon for 50 years, and has amassed an impressive number of “preference points”, was similarly denied. So, provided yet another opportunity to rail against the government, we licked our wounds, swallowed our pride, and bought our lame, embarrassing, Elmer Fudd, over-the-counter tags. If an expensive guided hunt on a private ranch, where killing a giant bull elk is virtually guaranteed, is the award-winning craft beer of the hunting world, the Elmer Fudd OTC tag is an imported lite beer which may or may not contain formaldehyde. This is a known formula, and perhaps one humble illustration would be helpful to prove the point. Two years ago, in California, some friends and I purchased OTC tags and happily set out for a zone with a reasonable expectation for success. We scouted. We set up our camp early. On opening day we followed a nearly impossible trail, grinding over boulders and washouts in a giant 4×4 that struggled righteously to make it. We hunted early and hard. On that same day we had agreed to meet back at the truck for a rest and some chow. As we sat under a big tree, lying about our chances, the very difficult to reach, and respectably remote, hillside we were sitting on virtually erupted in gunfire. Fifteen minutes later, we could distinctly hear mariachi music drifting up through the trees. Ten minutes after that, a Honda Civic with perhaps ten mexicans packed inside, and a large black-tail buck strapped to the roof, drove by us at speed, the occupants whooping and holding beer cans out the window, toasting us and their own success as they drove that vehicle down the same impossible trail–the only trail–that had nearly stumped our 4×4 beast. That, friends, is the essence of the Elmer Fudd OTC tag hunt. Still, Oregon is not California. So last week I went scouting. The zone I am allowed to hunt in is large, running essentially from the Pacific Ocean to the Pacific Crest Trail, and is no doubt full of game. Lying primarily west of the Cascades, it is also Squatchy, a term I have come to love that describes the dense forests one often associates with grainy footage of a Sasquatch stomping through deadfalls. Rich and I had decided to hunt near Big Lake, which the encrypted hunter network of rumor and innuendo had declared “Loaded with big bucks.” To be certain, my object in hunting is not the trophy, it is the meat, but no self-respecting hunter would pretend that the prospect of downing a “thug”, or a “toad”, or a Boone and Crockett record setter, isn’t an appealing idea. So I packed up early, and arrived on the edge of the zone just before sunrise. Sometimes we get lucky. When I arrived I had many thousands of acres, virtually the entire Mt. Washington Wilderness, to myself. No kidding. I parked the truck, stepped out into a cold fog, shouldered my pack, slung my binos, and started into the woods. Stepping into the woods is a more transformative process than that, of course, particularly in a dense forest. It is much more like passing through a kind of metaphysical portal. In military parlance, it is a Line of Departure, a point of commitment to the mission. And particularly when one has an actual mission–in this case, to find evidence of a thug or a toad, or perhaps many thugs and toads. And when you are alone, with only the sounds of the forest, the birds, the wind, and your own breathing, perhaps you might be forgiven for thinking stupid thoughts such as I am prone to do. Alone in the woods, I am occasionally given over to notions that the world is not an asylum, that our elected politicians are not criminals, that they are working together for the good of the nation, and the future is a sunshine daydream. Dumb, dumb, dumb. I could spend a few paragraphs telling you how great that scouting was–because it was–but you get the idea. I humped out of the woods feeling quite giddy, positive, and eager, a feeling I managed to maintain until opening morning. 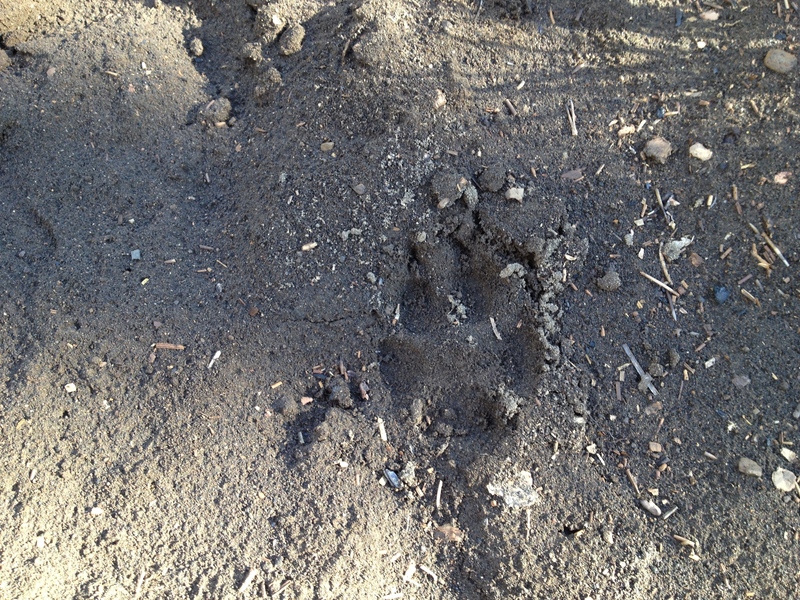 There had been good deer sign on my scout, but there were other signs around me too. On Friday, our little town began to creak and groan under the weight of trucks, trailers, off-highway vehicles, camouflage, and Cabela’s gear. I was mildly alarmed, but given the sheer acreage available to hunt, I could not envision the scenario we encountered on Opening Day, which was a vision of a post-apocalyptic desperation. On opening morning, accompanied by Rich and his son Trent, we arrived at our spot early, before sunrise, and even before landing we had passed dozens upon dozens of trucks. Every highway turnout. Every logging spur. Every rabbit hole large enough to house either a gigantic truck, a truck and trailer, a motorhome, a gigantic truck with a fifth-wheel trailer, or any combination of the aforementioned vehicles, was packed. Hunters scurried back and forth along the edge of the road. By the time we reached the magical area of my scout, we were apoplectic. And also afraid. 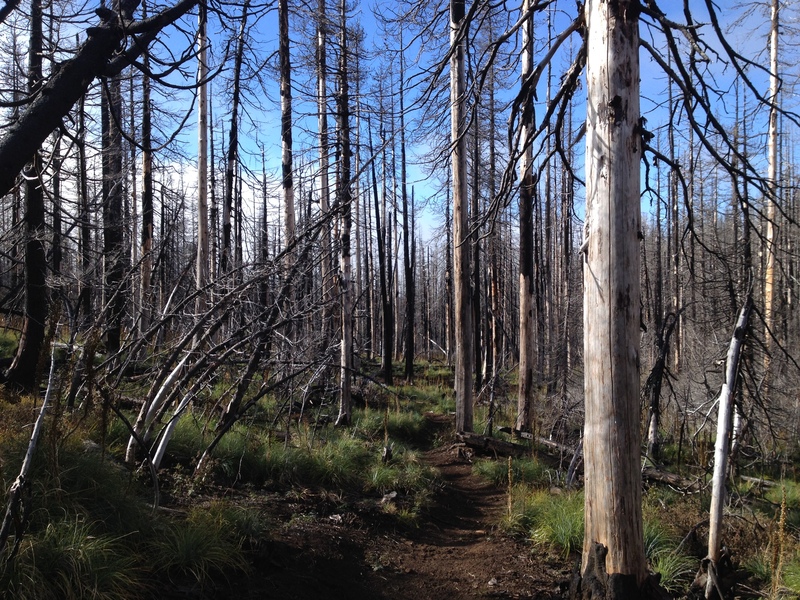 The idea of stepping off into that country with what must have been hundreds of hunters, where the geometry of fires were anything but coordinated, seemed beyond ridiculous. The pressure on the deer would be overwhelming, and it seemed entirely more likely that we would end up shot by a hunter loaded down in expensive, Gucci, scent-free costuming than even see a decent buck. So we left. We did not give up. Instead, we drove to the other side of the Cascades entirely, and spent the rest of the day scouting into some of the most beautiful country I have seen yet in Oregon, and we hunted in towering, moss-covered trees that caused me to think stupid thoughts again about the magnificence of it all. We didn’t get our opening day buck, but it is a long season, and hard work in hunting is generally rewarded. A final point: this isn’t about fun time in the woods. The point of this hunting business is actually serious–part of a larger program in the effort at self-sufficiency. Because it is clear to me that our representatives are not, in fact, working together for the good of anything but themselves, I have long-ago decided that a more profitable industry is in self-reliance, and a measure of self-sufficiency that may forestall or even prevent us from succumbing to any of the “list your disaster” possibilities, remote as they may seem from day to day. Plus, the meat tastes better than what’s in the display case at Ray’s Market, and is likely better for you. It is a long season, and I will keep hunting, pushing ever-farther into the woods, but I have also determined that it is time to take another hard look at an expensive guided hunt, with its high probability of success. Food in the freezer is a good thing. Earning that food is even better. And to backstop it all, I’m building a corral to house a feeder steer, who I will make fat through the summer and butcher next fall, just in case. Let me know when the venison stew is ready. An enjoyable read, I felt like I was up there with you guys. I feel your pain and understand the debate. I urge you to keep pressing on as it will happen. I found that pot of gold closing Saturday morning this year in California. I will confess it was on private property but I completed the task with my bow at 19 yards. Good work my friend. Lots of time left, and elk season opens in 9 days, so there is still hope. Next year I will double down with archery tags as well.